More and more investors are seeking to make an impact with their investments. We offer a suite of shareholder engagement services designed to engage, excite, and empower your clients that can be added, turnkey, to your organization. As You Sow makes it easy to add a shareholder engagement offering to your services, enabling you to give your clients access to a full range of shareholder engagement opportunities on key environmental, social, and governance (ESG) issues, without adding overhead to your operations. We will file or co-file on your client’s behalf, on As You Sow or other shareholder resolutions. Our expert staff will work closely with you on logistics, including briefings at the level most compatible with interest level. Our CEO and expert program staff are available to you for client gatherings, events, webinars, etc. You and your clients have access to ongoing issue briefings and updates. In 2017, As You Sow filed over 50 resolutions across five program areas. This diversity of initiatives accommodates a wide range of client interests, allowing each individual or family to selectively participate in engagement activities without constraining their investment decisions. Contact [email protected] for more information and annual membership fees. 1. Why does filing shareholder resolutions matter? A client walks into the local garden store and is reminded that bee-toxic pesticides have been eliminated, and their personal shares in that company helped make the change happen. Participating in a shareholder resolution as a co-filer means being part of the real-world change that As You Sow is creating. 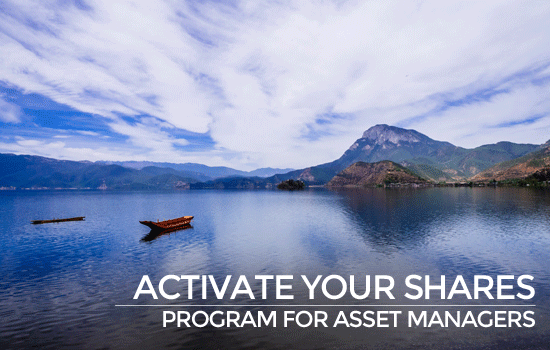 It educates and excites clients about the power of responsible investing. To learn more about shareholder resolutions, visit our FAQs here. 2. How much of your time does this take? Forwarding periodic email updates from As You Sow to your client — we will send you regular updates as your clients’ resolutions proceed through the major milestones of shareholder engagement. There is an economy of scale. The more resolutions that a firm coordinates (on behalf of one or many clients) the less time each resolution will take. We suggest that one person at your organization be responsible for coordinating shareholder engagement with As You Sow. 3. Other than participating in shareholder resolutions, how else can clients get involved? Proxy voting! We make it easy with our annual Proxy Preview and Proxy Voting Guidelines. Buy shares of companies that are difficult to find, to support potential future As You Sow resolutions. As You Sow is not an investment adviser nor do we provide financial planning, legal, or tax advice. Nothing in our communications or materials shall constitute or be construed as an offering of financial instruments or as investment advice or investment recommendations.